What better and more glorious way to give vocal tribute to the animals we so love and wish to honor. Music is an international language that speaks to all of us with truth and kindness. 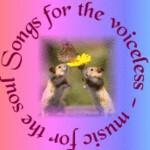 This group is dedicated to Music and Musicians that Support Animal Rights. 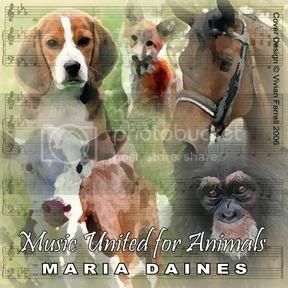 Maria Daines is a multi-award winning International vocalist and songwriter whose band supported US artist Pink at Cardiff International Arena for the Party For Animals World Wide in August 2007. The concert raised over �90,000 for six animal welfare charities. 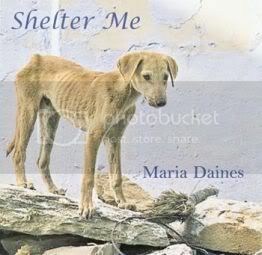 Based in the UK, Maria is an advocate for animal rights and welfare campaigning against breed specific legislation and many other issues of animal cruelty.